The state’s Gold Medal Wine Reception is a premier way to sample award-winning Michigan wines all in one place. The state’s Gold Medal Wine Reception is a premier way to sample award-winning Michigan wines all in one place. Each year, the Michigan Grape and Wine Industry Council, a program under the Department of Agriculture, hosts the Michigan Wine and Spirits Competition. The winning wines are showcased to the public during a reception following the competition. An interesting side note, the state’s first wine competition was held in 1977 at the Michigan State Fair at the fairgrounds located at 8 Mile Road and Woodward Avenue in Detroit. A total of 113 wines by 11 wineries were entered into the competition, where 14 silver medals and 11 gold medals were awarded. Soon, however, it was discovered that the barn atmosphere did not provide ideal conditions for the wine judges. The competition was eventually relocated to its current site (East Lansing). Today, more than 50 wineries and 350 wines are entered into the competition. This year’s Gold Medal Wine Reception is Thursday, Aug. 9, from 5 p.m – 8 p.m. at the Kellogg Hotel & Conference Center at Michigan State University. The award-winning Michigan wines are featured along with delicious culinary fare. Tickets are $40 per person in advance or $45 per person at the door. 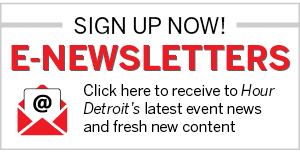 Get advanced tickets online at www.michiganwines.com/reception. Not only is this a great event to sip top quality wines, it is also opportunity to chat with winemakers, vintners, and industry leaders. And, of course, I will be there, so be sure to find me and say hello. I look forward to toasting to Michigan wine with you! 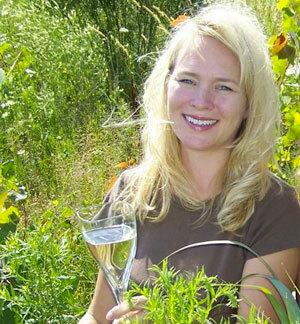 Lorri Hathaway is co-author of the award-winning From the Vine: Exploring Michigan Wineries and The History of Michigan Wines. Learn more and get autographed books at deliciousmichigan.com.